Don’t be afraid…. This nozzle is a substantial tool. All 53 lbs. 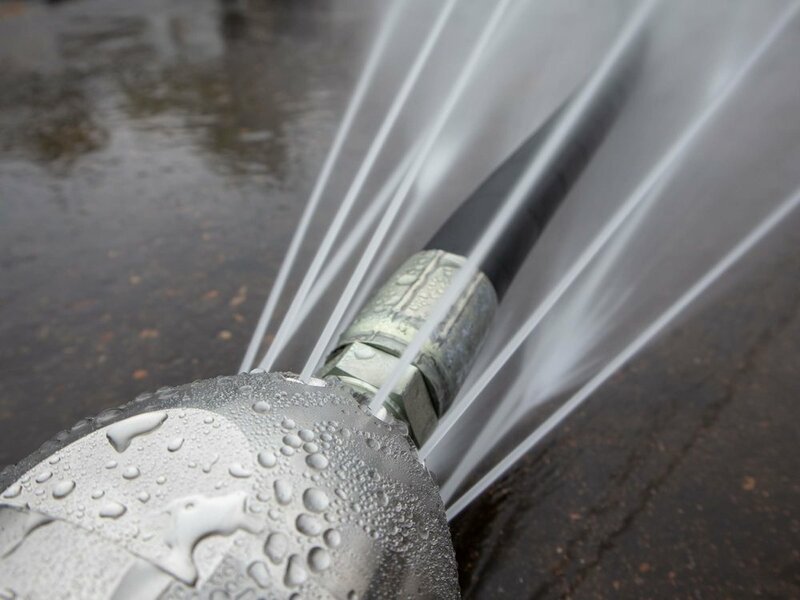 of this 304 SS nozzle are ready to pulverize and plow through any blockage you might be up against. There are 12 rear facing EST jets (replaceable) at 3 different angles. 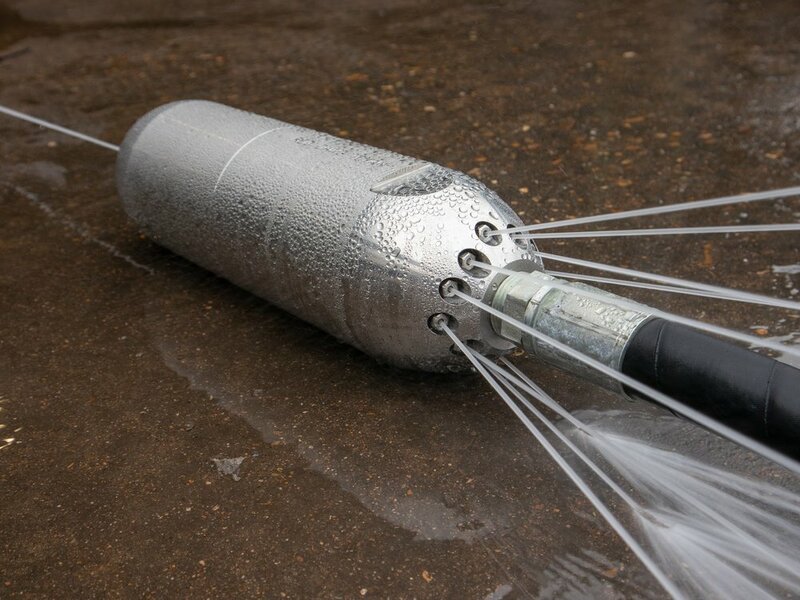 This provides several different patters on cleaning for any storm or sanitary line. We can also install a rear straight swivel if needed.